Can you recommend anywhere to stay on Brava? Brava is relatively a small island, and therefore all the more enjoyable to many. It's a great island for hiking. Soon you're familiar with the location of the different villages, the people who live there and how to get from A to B. Hundreds of ancient footpaths connect traditionally all places with each other. Walk through the ribeira of Fajã d'Água, the gap where up to 25 years ago a river flowed. Cobblestone donkey paths will lead you zigzagging from Nosse Senhora do Monte via ghost town Lavendura to the sleepy fishing village of Fajã d'Água. The other way around is also possible. About 2 hours walk (one way). Swimming and snorkeling in the Bay of Portèt, the only sandy beach of Brava. A good hour's walk from Fajã d'Água, passing the unused airport. Along the way you'll also pass the piscine natural, the natural swimming pool between the rocks. Definitely a place to visit, too! Sail with an authentic fishing boat over the ocean. 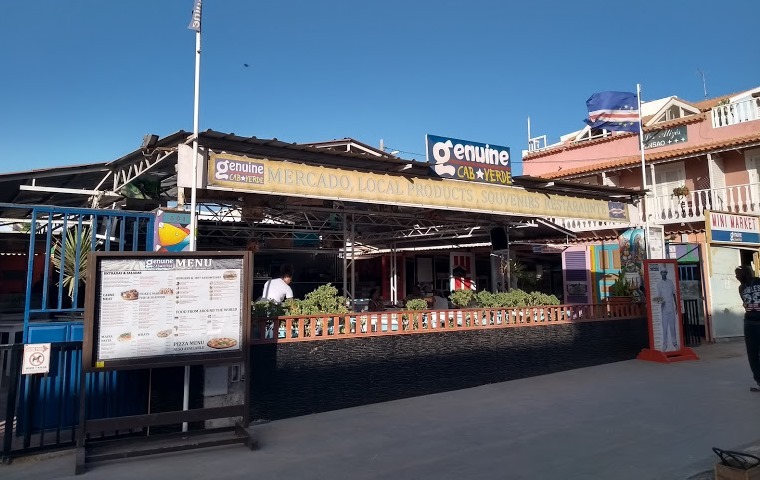 Learn how to fish from the local fishermen, and catch one of the beautiful fish species that swim around Brava, to grill on a deserted beach somewhere along the way. Various options possible, depending the weather and ocean conditions. Walks to and on the highest point of the island, Fontainhas (987 m), with a completely surprising landscape. Several routes are possible. Visit to Vila Nova Sintra. Just walk around for a few hours and take the time to sit on the praça, the town hall square,watching the daily life in a Capeverdean town. 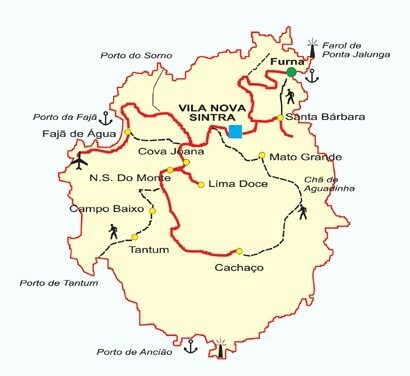 From Vila Nova Sintra (in short: Vila) you walk in one hour, via Santa Barbara, to Vinagre. The old bathing house there is perhaps the most extraordinary building of Brava. Unfortunately the source collapsed, the buildings are in decay and the inhabitants left the village, but the atmosphere is special. Can you recommend things to do and see on Brava? In Fajã d'Água: Casa de Julia, and Bar di Nos (Anna). Please note that on Brava food is freshly made while you wait – or order in advance! Can you recommend places to eat or drink on Brava?